A funny thing has been happening in my kitchen lately. 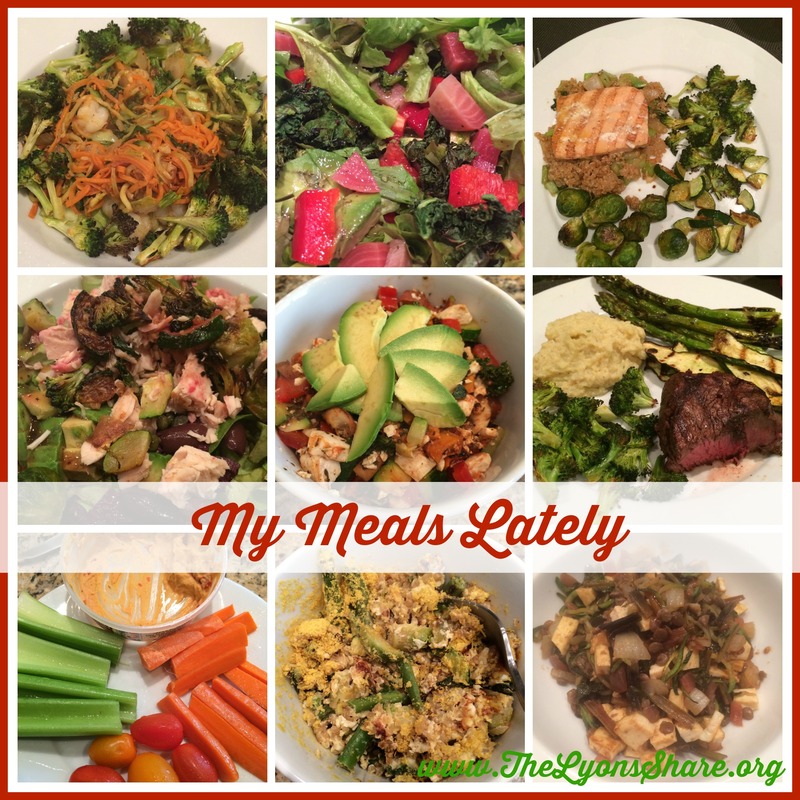 I’ve been cooking more than ever (and absolutely loving the opportunity to spend more time in my kitchen and avoid so much restaurant food!). I’ve been really loading up on the veggies, and enjoying everything I’ve been making. However … I haven’t really had any creative moments where I thought “wow, I just have to share this with my readers … it’s so creative that I know they’ll love it!” That’s not a bad thing, since I’ve still been enjoying my food, but it makes it hard to drum up a super interesting Foodie Friday post! So, I’ve decided that for Fridays when I don’t have a specific food topic (did you see last week’s post on red meat?) and don’t have a super-creative recipe, I’ll post some of my go-to favorites, as well as a few other bloggers’ recipes that I’ve tried and enjoyed lately. Hope you’re OK with the plan! On St. Patrick’s Day, I shared my “Luck O’ The Irish Green Mashed ‘Potatoes,’” which were a peppery, less creamy (and green!) version of my go-to favorite. If you haven’t tried mashed cauliflower, I’m begging you to give it a try. It really is a delicious and nutritious substitute for mashed potatoes (cauliflower has tons of Vitamin C, Vitamin K, folate, and so many other nutrients and antioxidants), and gets by even the pickiest of eaters (my Dad is a fan, which is saying a lot!). It’s far easier than making “real” mashed potatoes, and you can easily have it on the table in less than 15 minutes. So what are you waiting for? Go for it! Roughly chop cauliflower and parsnip, and place in large microwave-safe bowl, covered with plastic wrap (or place in steamer). Microwave for 8 minutes, or until vegetables are soft. Place all ingredients in a blender, and puree. I prefer my mashed cauliflower with a few chunks, but feel free to puree until silky smooth if you like it that way! 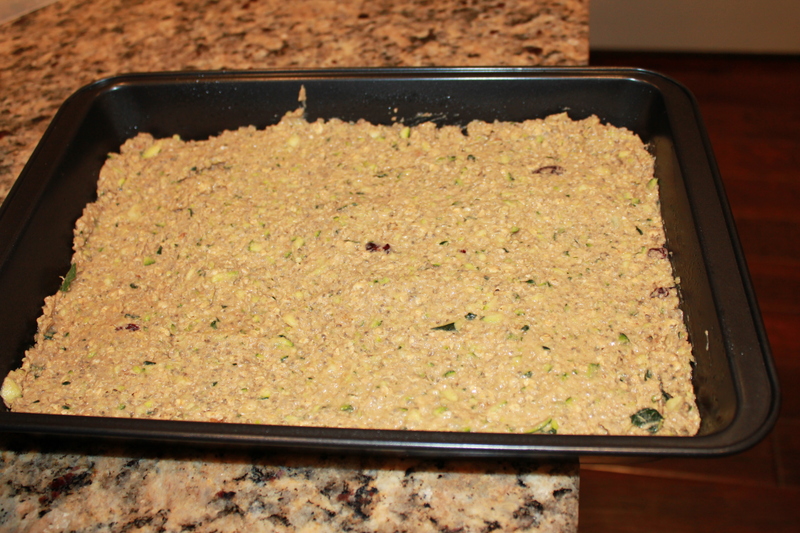 There are several other recipes I’ve tried lately that are worth highlighting. 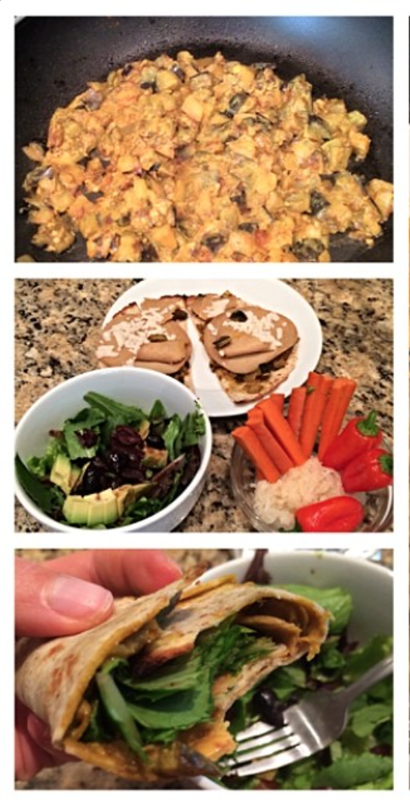 I hope you’ll check out these recipes and give some of them a try! So tell me in the comments … Have you ever tried mashed cauliflower? Which of these recipes looks best to you? Thanks, Sara! Hope you try some of them! Looks like you’ve been eating some good stuff!! I love all the veggies! I’ve only tried mashed cauliflower once and I wasn’t a huge fan (I think potatoes are just too precious to me to try to make a copycat version of them – also why I think I don’t like sweet potato fries), but I recently did mashed potatoes/parsnips and they were amazing! I might give the cauliflower another try! Did you just say you don’t like sweet potato fries?!? Blasphemy!!!! I’m pretty sure those might be my favorite healthy-but-not-actually-that-healthy (depending on where you get them!) food. I’m glad you liked your mashed potatoes and parsnips, though! 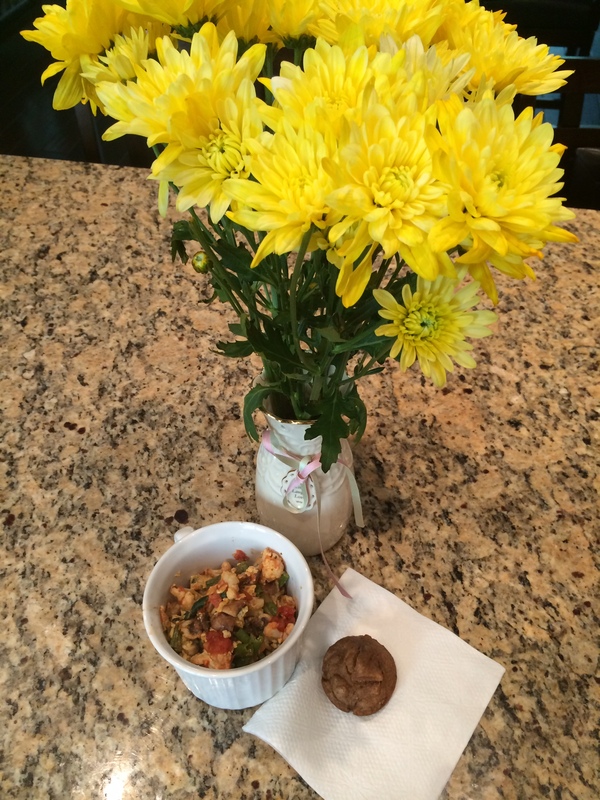 Thanks for taste-testing the banana muffins and making a delicious Easter brunch, Mom! I’m so glad, Becky! Let me know if you enjoy any of them! That’s AWESOME, Christina! 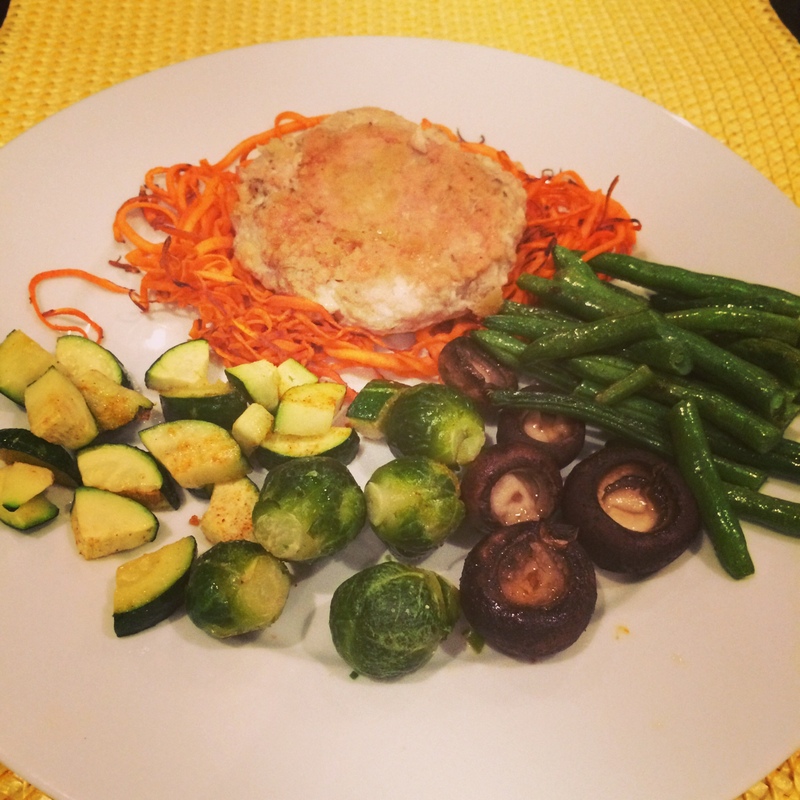 Way to go for trying new things and healthifying recipes for even the pickiest eaters :). I will be trying the red pepper soup and the crockpot lentil soup-yum! I hope you enjoy them, Deborah! 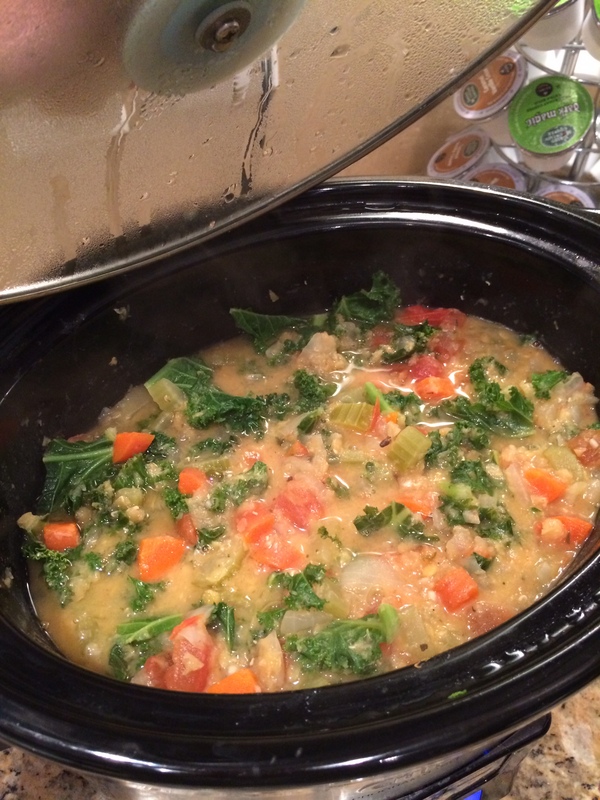 For what it’s worth, I ended up freezing a few servings of the lentil soup and it freezes very well! 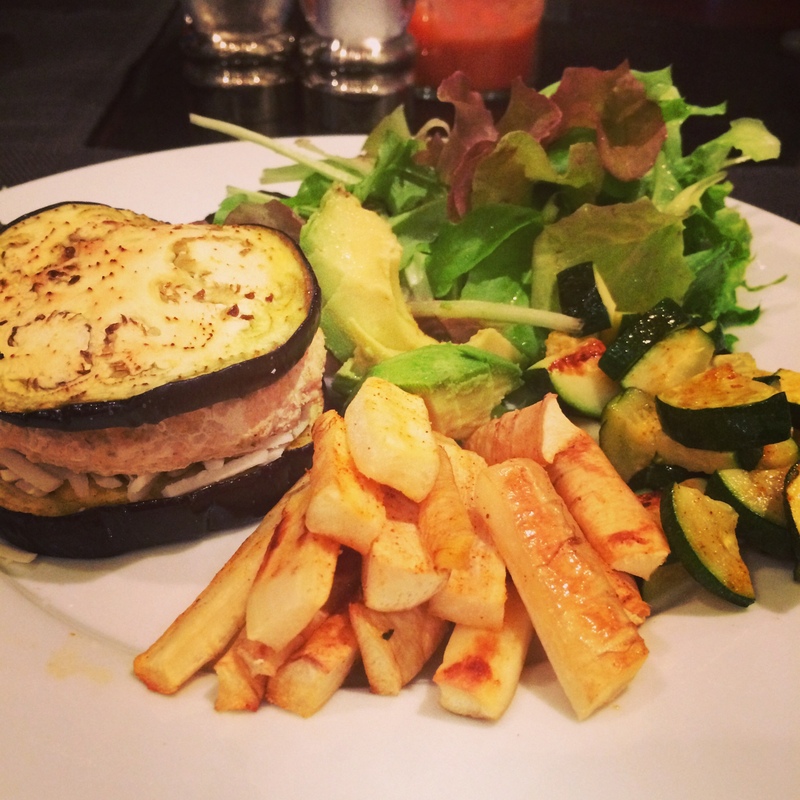 Amy’s apple chicken burgers are on my menu to make! I love the idea of using eggplant as the bun, too! 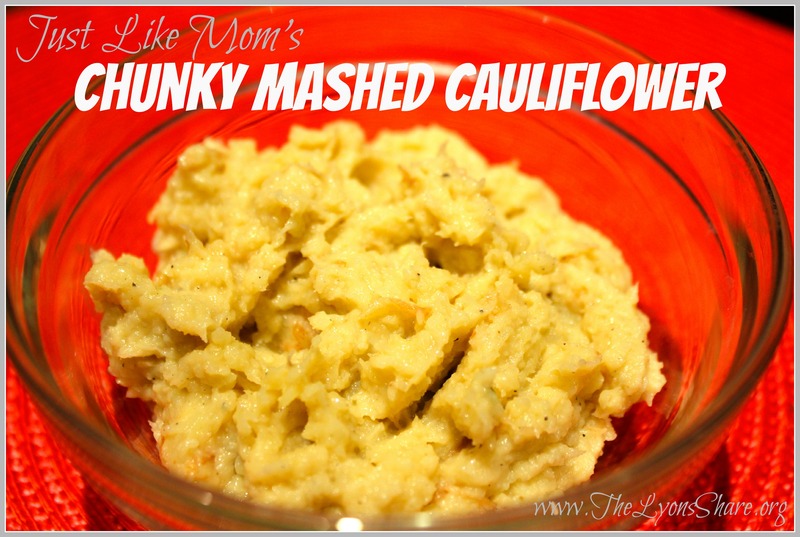 You can add your chunky cauliflower mash to my recipes to make this week! That sounds fabulous! I hope you enjoy them, Morganne! Eggplant buns are fun and tasty, but I have to admit it didn’t really hold up like a “real” bun. My husband was laughing at me trying to hold it up! Thanks for braving the soup! I love adding tofu to make them creamier and add protein. I did that with a tomato basil a while ago… must do more of it! 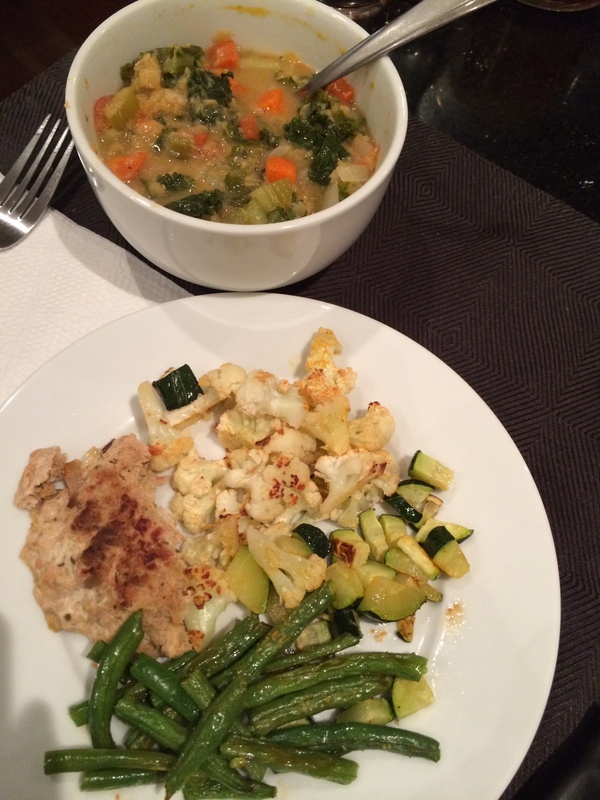 A friend who makes healthy dishes is the best of both worlds – socialization and good food. Love it! Thank you for the delicious soup recipe. You know I’ll try (almost) anything of yours … and yes, I realize I said I’d try the beefy oats if you had a successful first week. Here’s the deal … within the next 2 days, I’m trying the TVP version. And THEN the beef version, eventually. Baby steps! These look great! I have been in a baking mood lately so I am thinking about trying out the banana bread this weekend! Did you try the muffins, Lisa? They were so easy and delicious! Haha, your mom’s comment made me laugh, Arman! Don’t worry, no yeast rising :). And thank you for the great recipe! Like I said to Laura, I’ll try almost anything you post – your recipes never fail to impress me, and your patties are some of my favorite go-to meals! YES, parsnips are great as fries (‘chips’), and thank you for the congrats on the cauliflower fried rice contest! I bought some fun treats with the prize that will be showing up in a giveaway sometime soon! This is so cool! 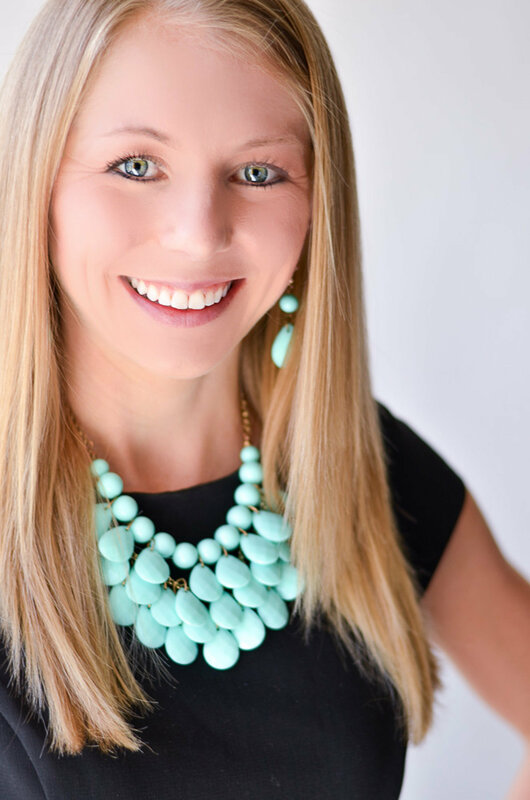 I am so with you Megan, I love creating meals at home instead of eating out. you feel so content as you know you are eating good food, and saving money! 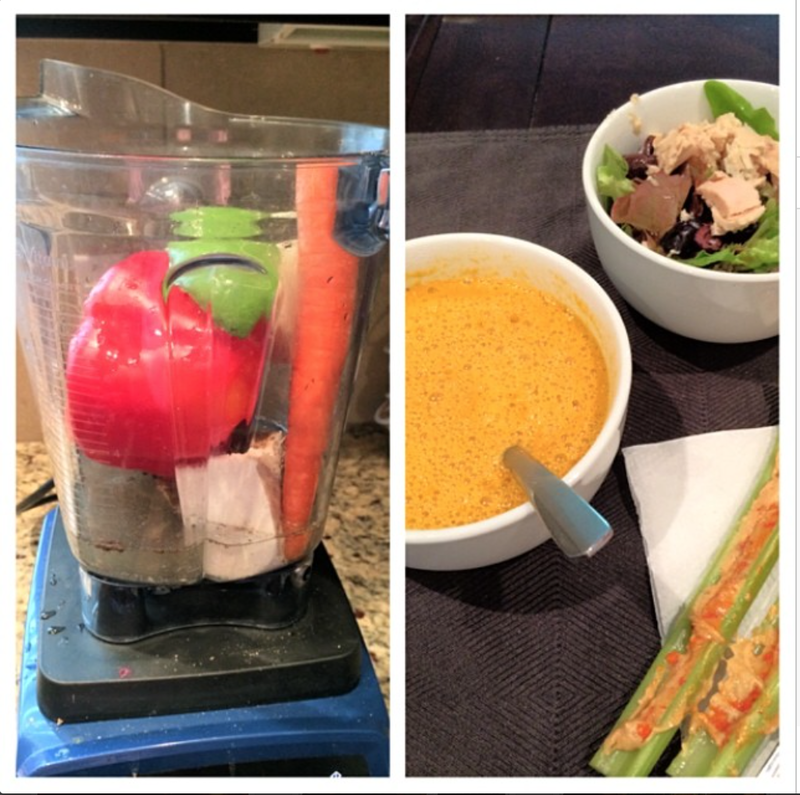 I do a pretty similar method of loading veggies and then adding different ways of eating it! So cool you have been trying out many others recipes, as I have seen a lot of them and thought they were good too! Thanks, Tina! Yes, eating out can be fun sometimes, but in general I feel so much better when I make my own meals :). I hope you had a wonderful weekend, too!